During the last three years, we have learned from our experience in San Diego, as well as the experiences shared by several other Academy partner institutions, that linking a formalized plan for staff training with management's expectations is critically important to the success of a staff-training program. Zoo and aquarium employees are dedicated and hard-working people. Animal people are always busy, and they might even say, sometimes too busy for training. As a result, executives and senior managers must prioritize and formalize their expectations for ongoing employee training programs. To ensure broad adoption of your own online training program, these expectations should be reflected as a component of employee performance evaluation. If a behavioral change and adoption of your training priorities is the expectation, then a carefully developed Academy rollout plan for your own institution that tracks and rewards compliance is a must. In San Diego, our internal Academy launch took place with our animal care staff in the fall of 2013 and followed a carefully designed launch plan. This month, we are launching the second phase of our rollout to our employees. This year is the San Diego Zoo's 100th anniversary, and two years ago, our executive leadership recognized that we needed a new strategic plan capable of propelling us into our next 100 years. "The Call" is a bold new strategic plan that is sharply focusing our organization on the goal of ending extinction through our own initiatives at our parks and in our conservation science work and through greater collaborations around the world. Our executive team determined that our employees would need to have a consistent understanding of biodiversity and extinction past and present, coupled with our organization's vision for the future. As a result, we created a new two-part online course titled, "Ending Extinction." This course is designed to provide staff with consistent fundamental training on the meaning of extinction, its role in today's wildlife conservation strategies, and what we intend to do about it. In San Diego, the new Phase II rollout plan describes to managers and supervisors our executives' expectations for this training. Our understanding of animal welfare drives how we manage our animal populations. The Academy's new Animal Welfare course creates a framework for a clear understanding of science-based animal welfare practice. Accordingly, our new rollout plan requires that all SDZG animal services employees take this new two-hour course in 2016. Additionally, Zoonotic disease prevention training is an AZA accreditation requirement. Our new rollout plan creates a training framework that coincides with our next accreditation cycle. The new plan describes and initiates this cycle for training all SDZG employees who have routine animal contact. As was the case with our first rollout plan in 2013, in the 2016 plan we remind employees that high-quality, targeted training is available through the Academy. Records of completed training courses are available and are a component of the employee performance review. A component of any future promotion for staff will include a review of the employee's training records and the interest they have shown in ongoing learning. Success isn't an accident. You must plan for it and clearly communicate those plans to staff. Cooperative breeding programs have been adopted by regional zoo and aquarium associations around the world to manage the long-term viability and sustained survival of collection species. Within AZA-accredited facilities alone, there are currently more than 500 such programs. As more and more species become cooperatively managed, both regionally and globally, it is increasingly important that zoo and aquarium professionals have a broad understanding of the concepts underlying these programs. 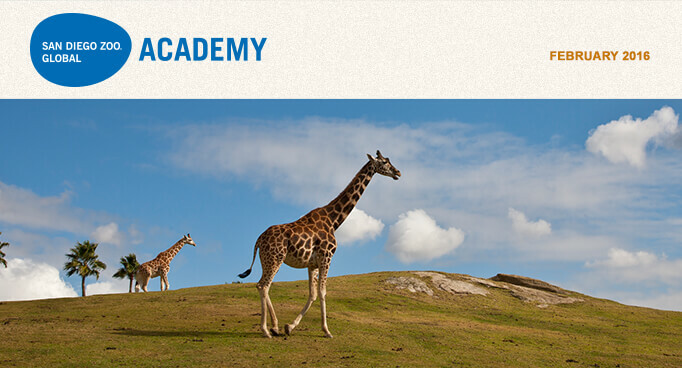 Thus, it is timely that the San Diego Zoo Global Academy announces the launch of a new course in the Animal Care Training professional series of classes that is focused on just this topic. The course, "The Science Supporting Breeding and Transfer Plans," was authored by population biologists, Drs. Jamie Ivy and Andrea Putnam. Management decisions for cooperative breeding programs, like AZA's Species Survival Plans, are informed by the application of scientific principles from the fields of genetics and population biology. The new course discusses how scientific concepts from these fields are applied and adapted to the management of zoo and aquarium collections. Specifically, the authors designed the course to provide learners with a broad understanding of why and how animal breeding and transfer recommendations are made for cooperative breeding programs. The course focuses on reading and interpreting AZA Breeding and Transfer Plans, but the concepts presented are relevant to other types of cooperative breeding programs: for example, the European Association of Zoos and Aquariums (EAZA) European Endangered species Programs (EEPs) and the Zoo and Aquarium Association's (ZAA) Australian Species Management Programs (ASMPs). Approximately two-thirds of the course discusses demographic and genetics principles at a learning level for non-experts, while the remaining third of the course highlights the integration of principles across both disciplines, as well as basic animal husbandry, into management decisions. Information pertaining to assessing a program's long-term sustainability also is presented throughout, providing participants with both short-term and long-term perspectives on the management of cooperative breeding programs. 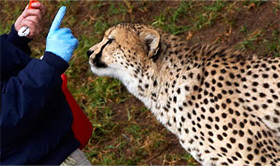 The course is particularly relevant to animal care staff involved in management and collection planning at zoos and aquariums, but the authors also believe it will be of interest to executive-level leadership and public relations personnel that must effectively communicate the rationale of management decisions to both their staff and the general public. For example, the course will give a facility's staff the information necessary to answer questions about why their animals haven't been given a breeding recommendation or why a public favorite must be transferred to a different institution. As the number of species managed through regional and global cooperative breeding programs continues to rise, having a basic knowledge of the scientific fundamentals that underpin management decisions is increasingly important for zoo and aquarium professionals. The San Diego Zoo Global Academy is excited to provide its members with a course that directly addresses this learning need. To view a sample of the course, click here. The Audubon Nature Institute's Bird Department, taking online courses at their learning lab—with San Diego Zoo Global Academy T-shirts. Go Team! 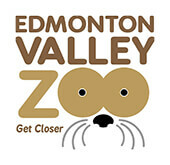 The Edmonton Valley Zoo in Alberta, Canada is part of the Academy's collaborative learning environment. Welcome! The Academy continues to build out training for our industry, and will continue to be a great value for all participants. There will be a price increase for new institutions subscribing to the Academy that is anticipated to go into effect at the end of the first quarter of 2016. Existing subscribers will be able to renew at their existing rates. Act now to lock in the current rates for your institution. Please join us for the Administrator's Users Group Webinar hosted by Academy partner CypherWorx. The next webinar is Wednesday, February 17, 2016, at 11 a.m. PDT. To Register for the Webinar: click here. After registering, you will receive a confirmation email containing information about joining the webinar. Advances in animal welfare in the zoological world have demonstrated the endless compassion caregivers extend with respect to geriatric, ill, and infirm animals. Continuously evolving standards of care, professional veterinary guidelines, and regulations all contain safeguards for animal care and welfare in the most challenging situations, including those relating to "end of life." Enlightened zoological organizations address and enhance animal welfare by consciously tending to the subject animals, their social group, and caregivers through the end of an animal's life. Thoughtful and respectful handling of such challenges, including the passing of a beloved animal, is the last and perhaps most important way to demonstrate the compassion, dignity, and respect afforded the animals in our care and each other. There is rain in your heart and I have no umbrella but I walk with you. You can now upload a photo for each employee on your site, or they can upload their photo of themselves. How do you get several hundred volunteers to complete required training? This year we are requiring all SDZG volunteers to complete Harassment Prevention training. We started by explaining we want to ensure everyone has a comfortable and inclusive experience here, and empower each person to help create the best possible volunteer environment. Next, we are giving them over a year to complete the training, sending reminders each month. We send simple instructions with the reminders, letting the volunteers know they can take the training on site if they need assistance. Lastly, volunteers earn continuing education hours by completing the training. They appreciate the easy access to professional training and respect the importance we place on maintaining an inclusive, safe, and welcoming environment. Nursing and healthcare occupational injuries are very common. This course focuses on how work-related injuries occur, the stages of musculoskeletal disorders, some common myths, and the best practices for safe patient handling. OSHA has developed a series of online resources to help you develop and implement safe patient handling assessments, policies, procedures, programs, training, and patient education in your facility.